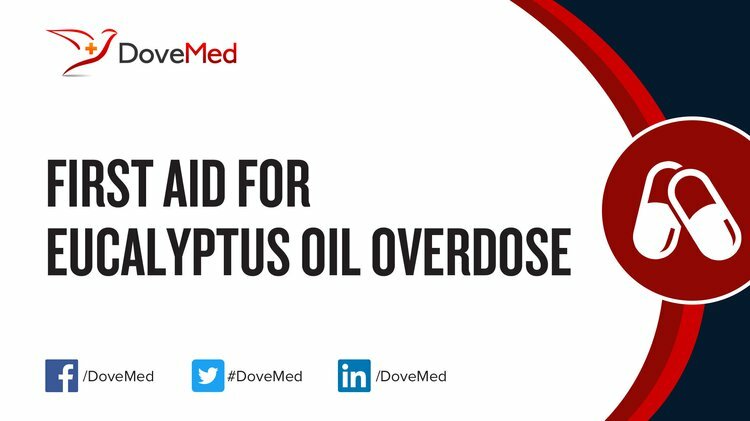 Eucalyptus Oil Overdose is the accidental or intentional intake of the compound in dosage higher than the recommended values. What is Eucalyptus Oil Overdose? What are the Causes of Eucalyptus Oil Overdose? What are the Signs and Symptoms of Eucalyptus Oil Overdose? The signs and symptoms of Eucalyptus Oil Overdose can vary from one individual to another. It may be mild in some and severe in others. Several systems of the body, such as the digestive system, nervous system, vascular system, and ENT may be affected. How is First Aid administered for Eucalyptus Oil Overdose? Who should administer First Aid for Eucalyptus Oil Overdose? First aid for Eucalyptus Oil Overdose is administered by healthcare professionals. What is the Prognosis of Eucalyptus Oil Overdose? How can Eucalyptus Oil Overdose be Prevented? Kolassa, N. (2013). Menthol differs from other terpenic essential oil constituents. Regulatory Toxicology and Pharmacology, 65(1), 115-118. Tisserand, R., & Young, R. (2013). Essential Oil Safety-E-Book: A Guide for Health Care Professionals. Elsevier Health Sciences. Braitberg, G., & Oakley, E. (2010). Small dose... big poison. Australian family physician, 39(11), 826. Kandi, S., Godishala, V., Rao, P., & Ramana, K. V. (2015). Biomedical significance of terpenes: an insight. Biomedicine and Biotechnology, 3(1), 8-10. Xue, R. D., Muller, G. C., Day, J. F., Debboun, M., Frances, S. P., & Strickman, D. (2014). Commercially available insect repellents and criteria for their use. Insect Repellents Handbook, 339. Taheri, J. B., Azimi, S., Rafieian, N., & Akhavan Zanjani, H. (2011). Herbs in dentistry. International dental journal, 61(6), 287-296. Musabayane, C., Van Heerden, F. R., Mukaratirwa, S., & Tufts, M. A. (2013). U.S. Patent Application No. 14/384,477. Lans, C., & Hackett, K. Essential oil use in ethnoveterinary medicine in British Columbia, Canada.